Large living area with good sized bedroom (1 Queen Bed) and well equipped kitchen. Additional living area with pullout sleeper sofa (sleeps 2) and games table. 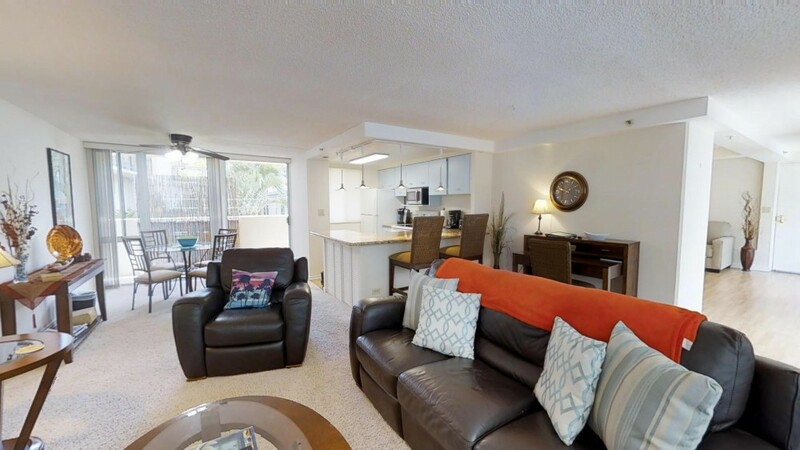 Walk thru this property using the 3D virtual tour above, step out onto the lanai and enjoy the ocean views, walk through the kitchen and plan your first dinner? This is a beuatiful suite, ideal for a couple or family. A 25% deposit is required at the time of booking, with the balance payment due 60 days prior to arrival.